This week is full of UFC violence. There’s a fight card Thursday, Friday, and Saturday. 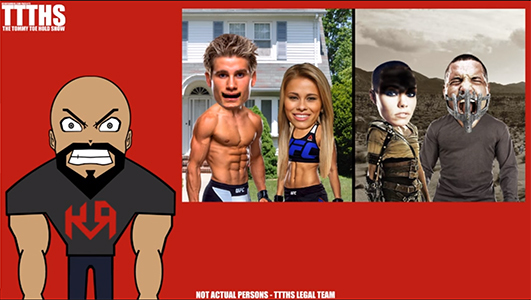 The weekend culminates with Aldo vs. McGregor at UFC 194, but Thursday, we get to see Sage Northcutt vs. Cody Pfister, and Paige Vanzant vs. Rose Namajunas. Tommy Toe Hold “speaks” with Sage, Paige, Rose and Pat.